Our daughter Raven Diana Ivy Pritt was born 8/9/18. She was 9 weeks early. She is currently in NICU at UVA hospital. I had her in an emergency c section because she had fluid on her heart and was in distress. After 2 weeks she had came so far. She was off her ventilator & cpap machine. She was moved out of her incubator and into a crib. She passed her eye exam and we thought we were in the clear and on the way to coming home. They ran a CT scan and our worst fear came true. The doctors found major calcification in her arteries & blood vessels in her heart & abdomen. 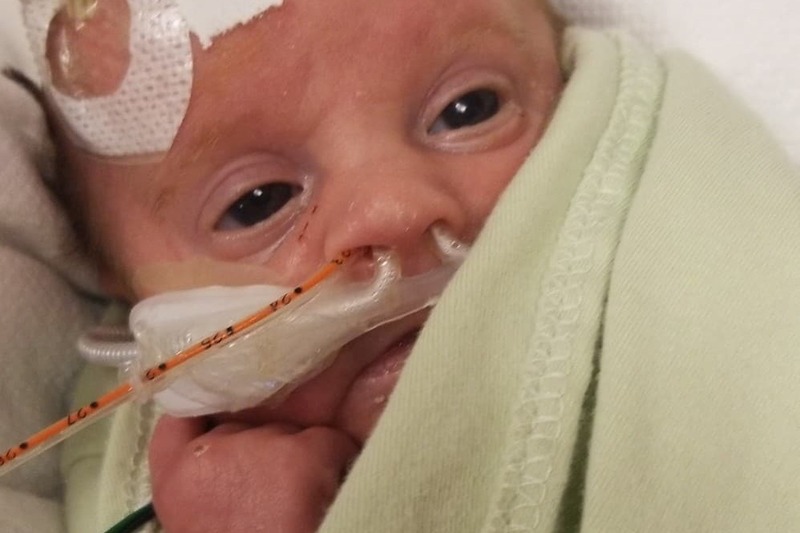 She has been diagnosed with a Ultra rare genetic disorder called GACI (general arterial calcification in infants) the odds of getting it is 1 in 329000. The first 6 months of life are critical and most children don't survive past it. The treatment for it isnt well known and its hard to get good results. Our baby has a 15% chance. She is fighting so hard & still manages to be the sweetest little blessing and is always smiling. 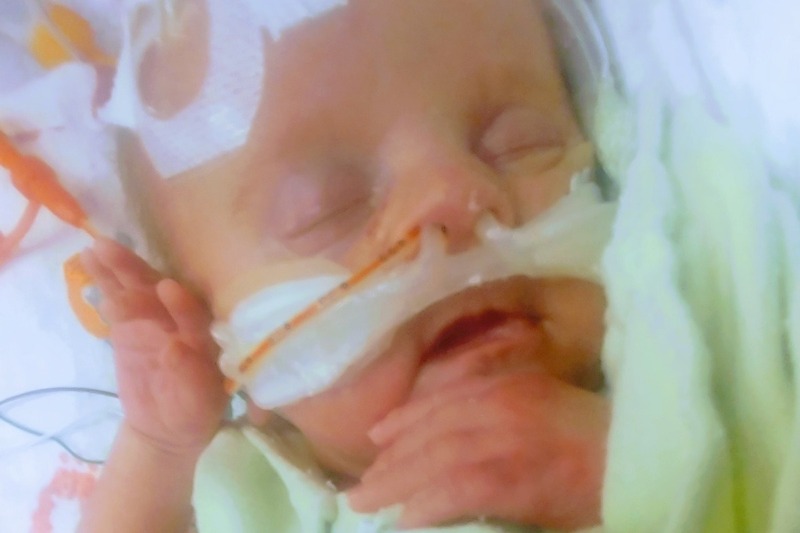 We are in the process of getting her transfered from UVA NICU in VA to CHOP in Philadelphia PA where there is a doctor who has had successful cases with this disorder & is the director of Endocrinology. The expenses are piling up and we want nothing more than to be with our baby every step of the way. I, her mother will be staying up there with her from weeks to months, we dont know how long her treatment will last or how long it will take to get results. Any penny will help and even a share or a prayer. Thank you to everyone who shares, prays or donates to our sweet baby. We have a long hard journey ahead of us but I believe we can make it through this as a family. Raven has passed. she couldnt fight anymore and her body gave up. We let her go yesterday. I can't even out into words our grief. Thank you to everyone. This will now be a gofundme for Funeral/Memorial services. Raven has been admitted back into the Intensive unit and has been put back on her ventilator. She has some sort of infection in her stomach. Please please pray for us as we try and get through another obstacle in this long journey.